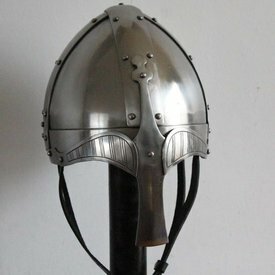 Spangenhelmets with eyebrows like these were mainly used by the Scandinavian people. 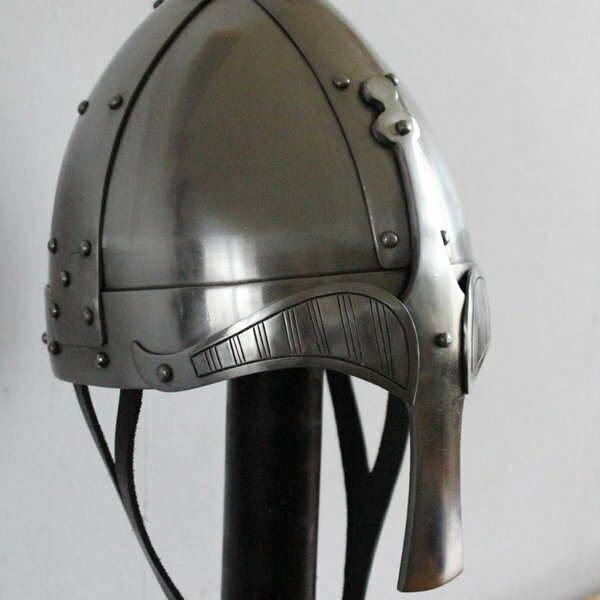 The helmet is made of 2 mm thick steel. 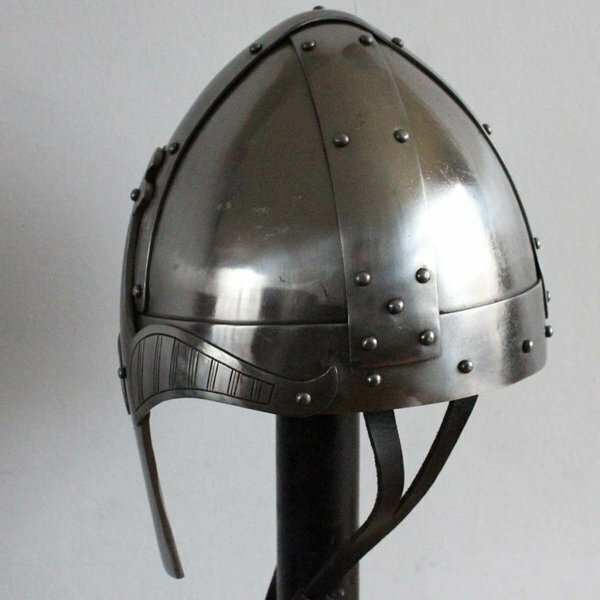 The four parts are welded together and strengthened with spangen. 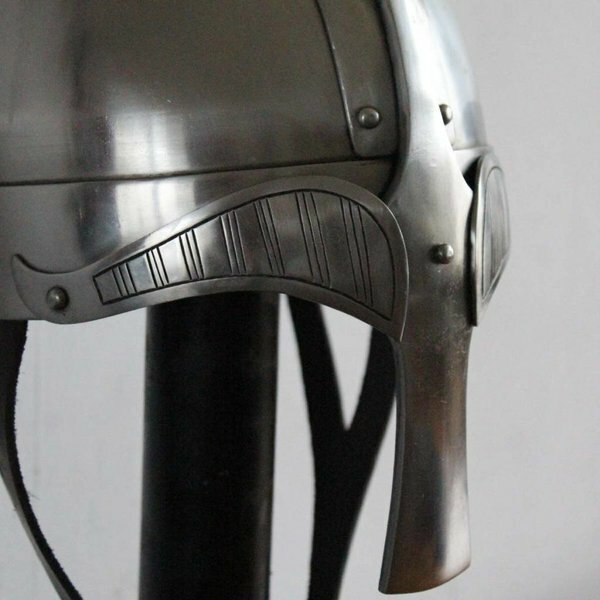 The 3 mm thick nose piece is hand forged, just like the eyebrows. 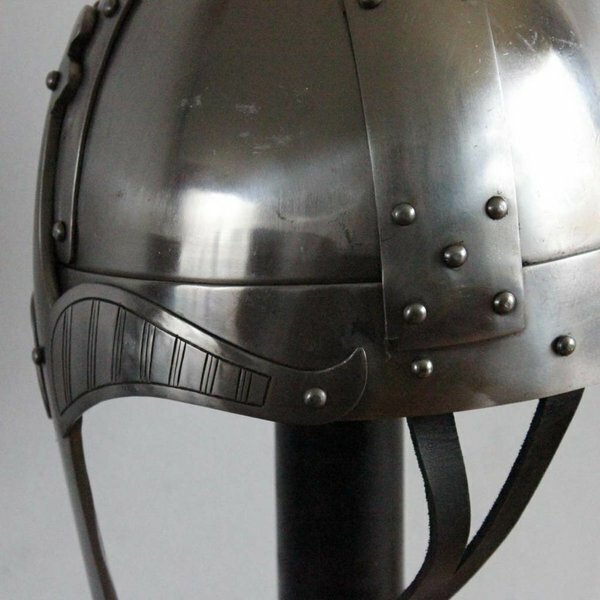 The helmet has a thick, adjustable inlay and a strap to fasten it under the chin. 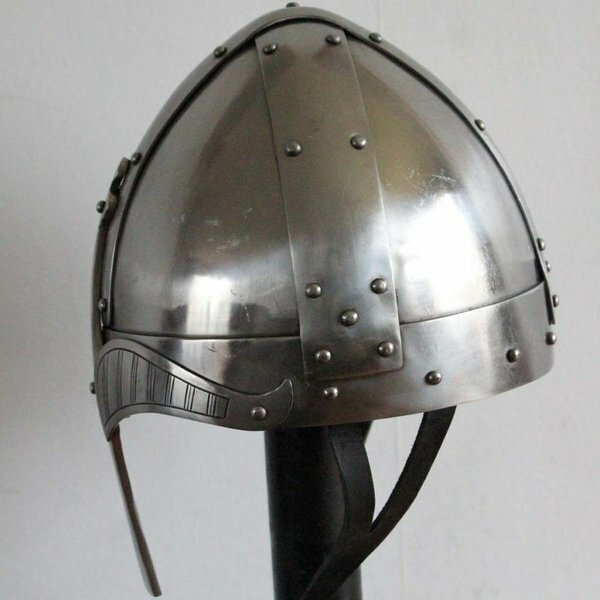 The helmet is available in the sizes M and L. Size M is suitable for a head circumference up to 61 cm and weighs 31,5 kg. 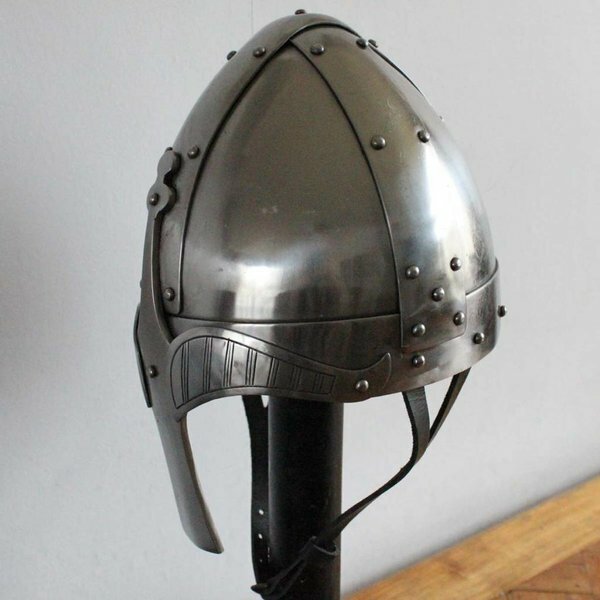 Size L is suitable for a head circumference up to 63 cm and weighs 3,3 kg.